Catching up with our sponsored athlete, Matthew Murphy, after a busy 2012. Read on to find out how his passion for running started and where it has gotten him. Truly an amazing story. When did you start running and how long before you knew you were good at it? “Being “good” may be relative to not how my performance is, but how good running is for me and what it does for the greater good of the world we live in. When I first started running in 2010, I hated it. I had the wrong shoes and no real training plan. This resulted in me getting injured on my first outing. After I recovered and did some research, I got a “real” pair of running shoes and downloaded the Ease Into 5K app. I realized after about two weeks of doing the plan that I was starting to get “good” at running. I was also seeing a dramatic change in my weight loss while increasing energy and stamina levels. When it became bigger than me is when I started to use my running as a means to raise awareness for congenital abnormality research and assisting the families of the 1 in 30 children born with a congenital anomaly. This is a huge issue for me considering that it is the leading cause of infant deaths in the world and affected my son, Shawn. My wife and I were surprised that we could not find any type of non-profit that did research or provided the public information about congenital abnormalities, so after Shawn’s successful recovery from three life threatening surgeries in his first year of life, we started Shawn’s Anomaly to provide education, hope, and help to families affected by congenital abnormalities. I now raise money for the non-profit through my endurance events, help motivate others through speaking engagements, and coach athletes of all skill levels through their fitness journey so they can raise money for our mission through events of their choice all over the world. 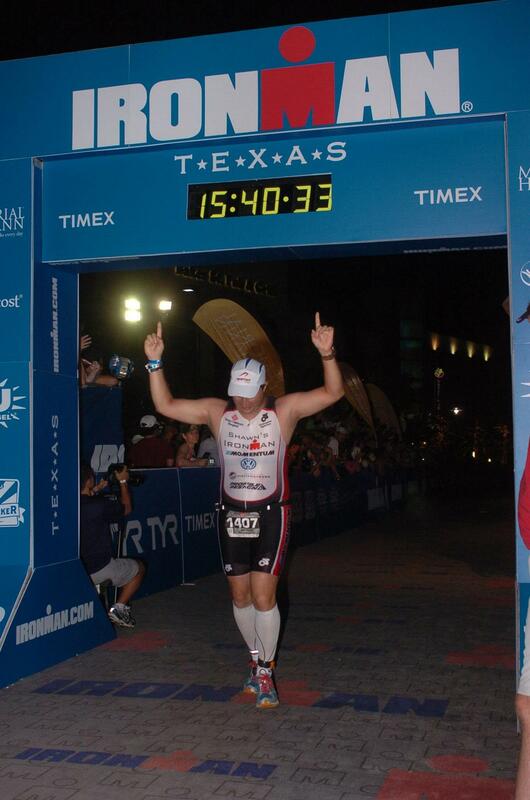 how long before you realized you wanted to train for an ironman? What is a typical training day like for you? What are some must haves for training? Tell us about your 2012 race achievements. Thank you Matthew for sharing your passion for running and using it to better other’s lives. You are truly an inspiration and we are so happy to be a part of it. We’ll make sure to vote this Spring!